September | 2017 | BollyWood News……. If an actor’s 50th film marks her foray into Bollywood, then the interviewer should probably steer clear of questions involving the actor’s ‘confidence’. Raai Laxmi — Bollywood debutante and South film industry veteran — certainly has a lot of it, and is confident about making an impact with her upcoming film Julie 2. When we meet up to chat about her film, a torrential downpour rages outside, but Raai Laxmi — a Mumbai resident for the past 10 years — is calm and comfortably ensconced on a settee, sipping a cup of chai. Not many know that in 2006, Raai was approached by Yash Raj Films for a role in Chak De India. Raai was finalised for a part, but things didn’t fall into place at the contractual level. Raao too got busy with Tamil, Kannada, Malayalam and Tamil cinema, shooting (in the initial phases of her career) as many as six films a year. “When big opportunities knock on your door, you definitely want to show your presence. In the past there have been three attempts to ‘introduce’ me. While dates didn’t work out in a few cases, it was a contract issue in some others. There were also clashes of opinions with a few producers,” she explains. Perhaps after Julie 2‘s release, the focus will shift to other talking points when it comes to Raai Laxmi. Jacqueline Fernandez had confirmed her involvement in Race 3, alongside Salman Khan, a while ago. Firstpost had also earlier reported that Sidharth Malhotra might be joining the cast of the action thriller, as the makers are looking for a fresh face with Khan. 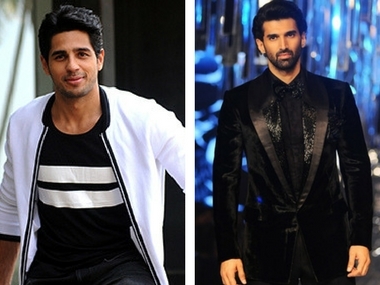 However, according to a bollywoodhungama.com, apart from Malhotra, Aditya Roy Kapur is also in final talks with producer Ramesh Taurani for a role in the film. The two actors have not had an exceptional year at the box office. While Malhotra’s A Gentleman bombed at the box office, Kapur’s Ok Jaanu also failed to leave an impression. The report suggests that in order to turn the tables in their favour, the two are hoping to get cast alongside Khan’s, in roles that would otherwise be underwhelming considering their star power. Demanding a remuneration much lesser than what they usually command in the market, both the actors are staggering under the pressure of delivering a hit. However, despite the conjectures, there is no official word of confirmation on these developments. An inside source also revealed to the publication that Taurani himself does not feel the need to have another male actor alongside Khan. 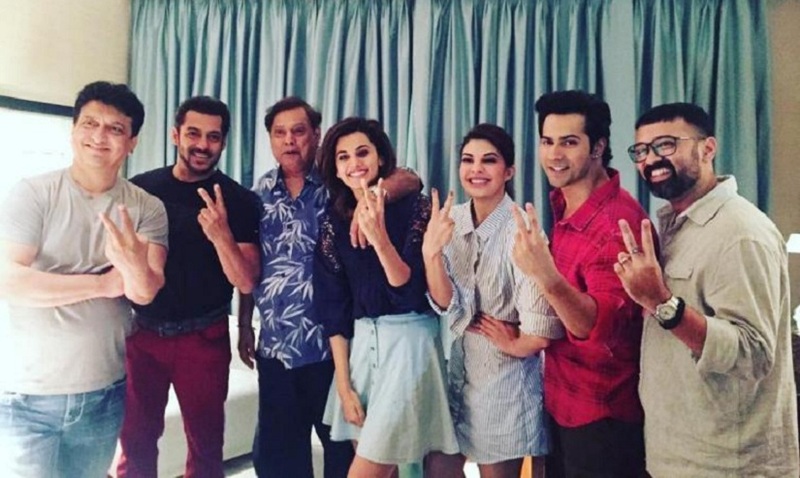 Now, the team of Judwaa 2 will visit the original Judwaa superstar on Bigg Boss season 11’s launch episode. The cast will be shooting with Salman on Friday, said the spokesperson of the film. It was the search of a political idea on the web that led to the inception of Newton. Amit Masurkar was determined to make his next film a political one after the critically acclaimed Sulemani Keeda. Amit spent the subsequent days doing things that writers often do – type out words on Google and look for all possible search results. “The words that caught my attention were ‘polling booths’, ‘EVMs’ and ‘Presiding Officer’. I typed other words too and the search threw up ‘political dynasties’, ‘conspiracies’ and ‘scandal’. We already have seen films dealing with the latter topics but one has never seen anything from the point of view of people who conduct elections,” reveals Amit, on how Newton was born. After having travelled to roughly 50 film festivals across the world with the film, the moment is finally here for the director, as his labour of love will be screened in cinema halls of its origin country. Despite the assurance and cooperation by the state government, the first day of the film unit in Chhattisgarh was anything but a smooth ride. The first location earmarked for the shoot was a forest area near Raipur. To the unit’s horror, ten days before the shoot of this low budget flick was to commence, the forest officer (also the signing authority), was found guilty of corruption charges. The subsequent raids yielded millions in cash stashed at his house. “We had no clue what to do next as he had also turned a fugitive. After the officer was sent to jail, the next one was scheduled to join in his place only after few days. It was only after the local line producer informed us of another location called Dallirajara that the shoot could commence,” informs Amit. When the shooting began, the unit was informed by the local police chief not to take any police protection, as it would have meant danger to their lives. The covert message was to be behave like locals. It was sheer luck for Amit when Newton metamorphosed from an independent film to a studio-backed film. It was a one-month assistantship under Aanand L Rai in 2004 for a telefilm that tilted things in his favour. 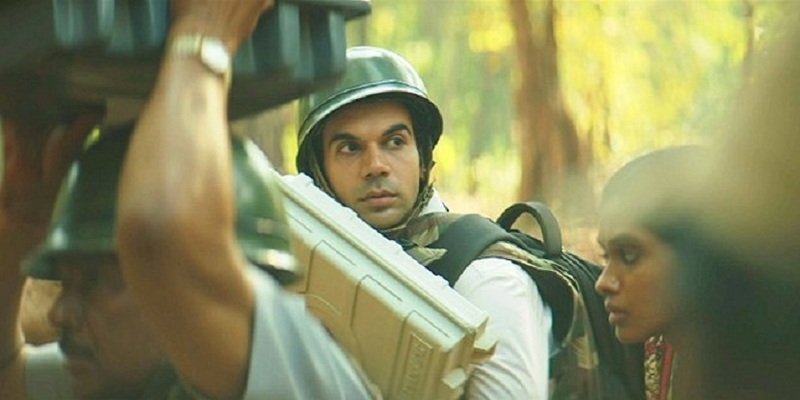 “Rajkummar Rao showed him a clip of Newton and the shots impressed him. When Raj told him about me, his instant reaction was ‘I know him’. He then took my phone number and called to say that he loved the clip and was open for help of any sort,” reveals Amit. Thanks to the filmmaker of Tanu Weds Manu and Raanjhanaa, the initial plan of releasing the film in 150 screens has now trebled. For this engineering drop out, jungles have now become addictive. “I realised after the shoot, jungles are very addictive. You have to build your own infrastructure. There is a thrill and it gives a very sublime feeling,” he adds. Ahead of the release of Bhoomi, Firstpost caught up with Sanjay Dutt, who was more than happy to answer our curious questions. One of the most obvious ones, at the heels of his release, is — Why Bhoomi and not Munnabhai 3, as the latter already has a trailer out? Watch Firstpost’s interview with Sanjay Dutt. 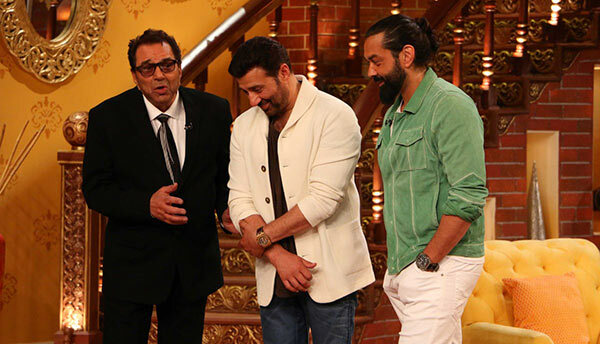 Sanjay Dutt is all set to make yet another comeback to films with this week’s release Bhoomi, and even as director Omung Kumar says that it’s a huge responsibility on him, he appears quite confident and upbeat. That’s probably because Omung feels the film will be lapped up by Dutt’s fans, who’re eager to watch him on the big screen after such a long hiatus. For Omung, who previously helmed two biopics — Mary Kom and Sarbjit — Bhoomi is a different genre altogether, an out-and-out mainstream commercial potboiler. “Bhoomi is certainly a different genre for me but I have done it in my style. I have paid lot of attention to the performances. 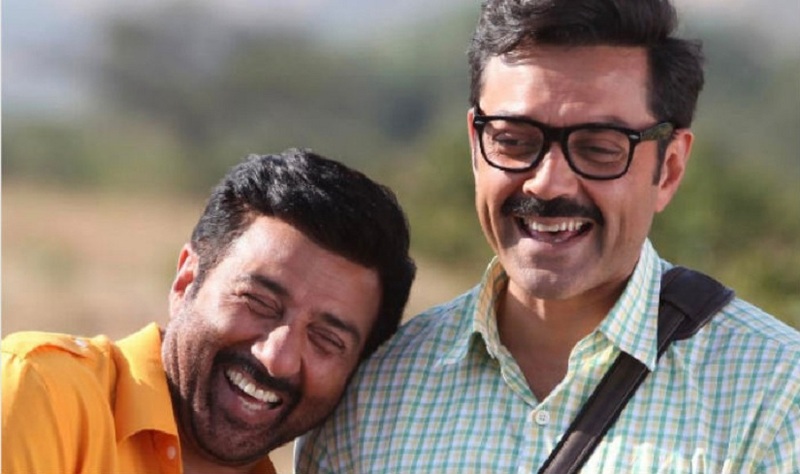 You won’t see the hero Sanjay Dutt, you will see him as the character, Arun Sachdeva,” Omung told Firstpost in the run-up to his film’s release. The director’s confidence also stems from the fact that Dutt has chosen him over other filmmaker friends to make his big screen return with. In fact, Dutt has expressed his confidence in Bhoomi being his perfect comeback vehicle. Dutt has had many ‘comebacks’ — like a cat’s nine lives, his career has received fresh impetus every time he’s returned from a (forced) break. Jaan Ki Baazi (1985) was his first movie after he came back from his drug treatment and rehabilitation in the US; Daud (1997) was his first film after his 1993 arrest in the Mumbai serial bomb blast case, and having wrapped up his jail sentence, Dutt is now back with Bhoomi. His last two films before being sentenced to imprisonment in early 2013 were PK and Ungli (both released in 2014). 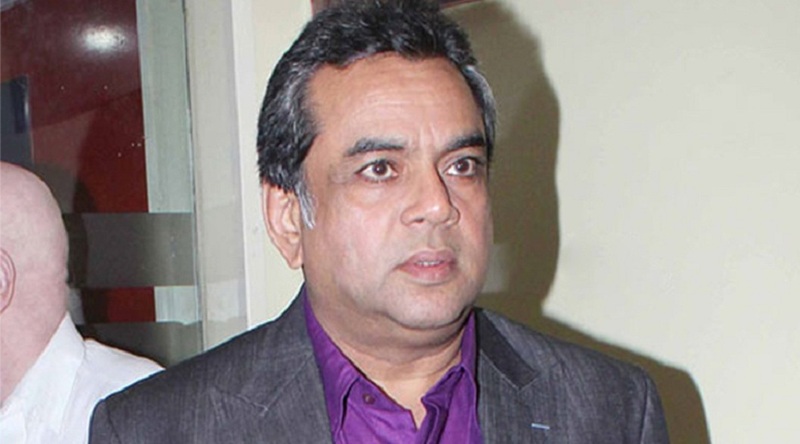 The politician in Paresh Rawal is yet to be overshadowed by the actor. Clad in blue jeans and a loose shirt when I meet him at a five star hotel, it’s evident that Rawal is on familiar turf. So what’s his first love these days — films or the Parliament? “Basically I am an actor so it has to be film sets, but these days I am enjoying my stint in a different way. The experience inside the Parliament is enriching. It helps one learn tricks of the world which helps me polish my craft as an actor,” Rawal says, as we settle down for a chat. People who have interacted with Paresh Rawal will vouch for his reserve. He hardly engages with people he does not know and intracting with the press seems to be anathema. The cumulative result is that he is perceived as a snob. Is the assessment true? “If I keep appearing in front of them (people and the press) on a regular basis, they themselves will get bored of me. Rest assured, I am not media shy. People who know me and are close to me know this well that I don’t even have an iota of snobbishness. As far as perception goes, it’s difficult to win over perceptions because that’s not tangible. You can’t please everybody,” Rawal explains. Paresh Rawal has never looked back after he shot into the limelight with his menacing act in Arjun. He was handpicked for the role by director Rahul Rawail after seeing him perform in a play. Rawal, a gifted actor, excelled in virtually every role that was offered to him. He believes that this could happen only because he did not receive formal training from any school. He cites his villainous acts in Dacait, Kabzaa and Sir, which were all inspired from people he knew. “It’s difficult for me to get into (the skin of) a villainous character who is an idiot. These days no one is scared of villains. Whatever make-up you apply or weapon you carry, people will never be scared of you. Behude lagte hai hum. If it’s all about portraying a behuda character, might as well make it amusing,” he reasons. After years of speculation, Amrita Singh and Saif Ali Khan’s eldest daughter Sara Ali Khan has started shooting for her first Bollywood film, Kedarnath. Directed by Abhishek Kapoor (Kai Po Che, Rock On!! ), Kedarnath is described as a love story that unfolds during the course of a pilgrimage. Sara, along with her co-star Sushant Singh Rajput, visited the Kedarnath temple on the eve of the shoot. Meanwhile, Sridevi and Boney Kapoor’s daughter Jhanvi Kapoor’s debut film, a remake of the Marathi blockbuster Sairat, will go on the floors this November. Her co-star, in this Dharma Productions film, is another star kid — Shahid Kapoor’s younger brother Ishaan. The Sairat-remake will be Ishaan’s second film. The 22-year-old will make his debut with Iranian filmmaker Majid Majidi’s Beyond The Clouds. These two newbies are probably the most hyped debutantes Bollywood has seen in recent times. Even Alia Bhatt, who debuted in Karan Johar’s Student of the Year five years ago, didn’t have the kind of pre-launch hype these girls do. Let’s take a look at how Sara and Jhanvi’s debuts compare. Even while Sara was studying at Columbia University, speculations about the film she’d debut in continued to swirl. There was Dharma productions’ remake of the Hollywood film Fault in Our Stars opposite Shahid Kapoor’s brother Ishaan Khattar, a film opposite Hrithik Roshan which was to be directed by Karan Malhotra (Agneepath, Brothers) and the sequel to Student of the Year opposite Tiger Shroff. It was only earlier this summer that Kedarnath was confirmed by Amrita as Sara’s debut film. Close on Sara’s heels, Jhanvi also first made her presence felt with a magazine cover. She was seen on the cover of People Magazine (Dec 2012), along with her mother Sridevi and young sister Khushi. 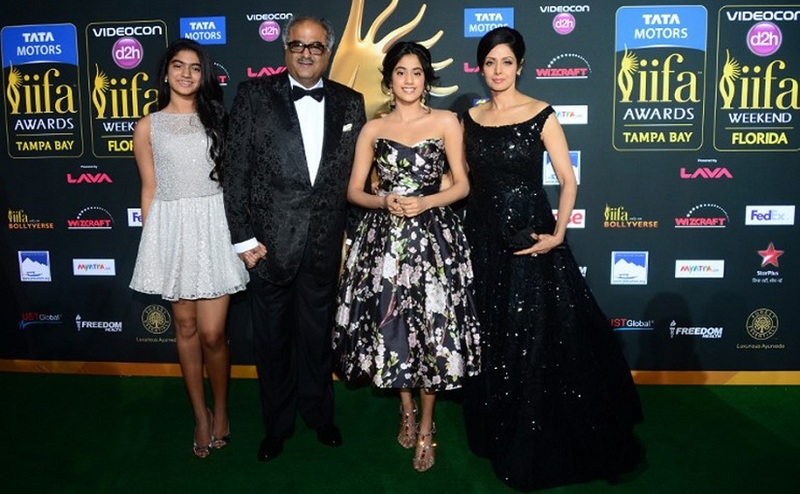 Like Amrita, Sridevi also said that Jhanvi ‘was too young to sign a film’ but ‘she’s always wanted to act’. The 20-year-old finished her schooling at Dhirubhai Ambani School, Mumbai before completely focusing on getting Bollywood ready. While Amrita hesitated about Sara’s association with Dharma, Sridevi, it was said, didn’t even bother looking at any other opportunities for her daughter. After Karan Johar announced in 2015 that Dharma will launch Jhanvi, it was just a matter of finding the right film. In June last year, Karan watched Sairat, the highest earning Marathi film of all-time, and he was bowled over. Directed by Nagraj Manjule, the film is a young love story juxtaposed against caste conflict. With Nagraj keen on focusing on his Hindi directorial debut (starring Amitabh Bachchan), the reins of the Hindi remake were handed to Shashank Khaitan whose previous two films — Humpty Sharma Ki Dulhania and Badrinath Ki Dulhania — were megahits. What made Parshya and Archie’s love relatable was that Sairat was soaked in realism. From the naturalistic acting to the brutal violence, the semi-rural landscape and even Archie’s inexpensive sartorial sense helped make the film real. It would be interesting to see how Shashank will find the balance between realism and the trademark Dharma sensibilities. After all, Manish Malhotra has been roped in to dress Jhanvi for the remake. Details about Sara’s film Kedarnath, on the other hand, have been hard to come by. Even the film’s ‘first look’ that was launched to coincide with the beginning of the shoot, gives away almost nothing about the storyline, which is credited to its director. According to early buzz, the Uttarakhand floods of 2013 form the backdrop of this story of human spirit that persists in the face of tragedy. Sushant’s character in the film is a pitthu, who carries pilgrims on their shoulders. The film will mostly be shot in Uttarakhand. Like the “heroine’s mummyjis” of yore, both Amrita and Sridevi have been working meticulously behind-the-scenes to make sure that their daughters make the right moves. The Mom actress has come a long way from when she wasn’t keen on a career in showbiz for either of her daughters. In the early days when Jhanvi first started making headlines for her Instagram posts, her superstar mom even ordered her to stay off any kind of social media. Sridevi was instrumental in getting Karan to launch Jhanvi and now that the film’s shoot is just months away, it’s all hands on deck. One hears that she is even closely monitoring all the looks Malhotra is creating for her daughter. While Sridevi was instrumental in her daughter getting a launch as a ‘Dharma heroine’, the buzz is that Amrita is the reason why Sara lost out on the opportunity. Apparently, the actress wasn’t keen on the three-film caveat that a Dharma launch film came with. By debuting with Kedarnath, not only is Sara not tied down to any production house, she is also free to choose managers and staff that she’s comfortable with instead of those ‘recommended’ by Karan. What also tipped the scales in favour of Kedarnath, for Amrita, was that her friend Ekta Kapoor is one of the film’s producers. Kedarnath is slated for a summer 2018 release and if the untitled Sairat-remake doesn’t get pushed, it should also hit theatres next year. 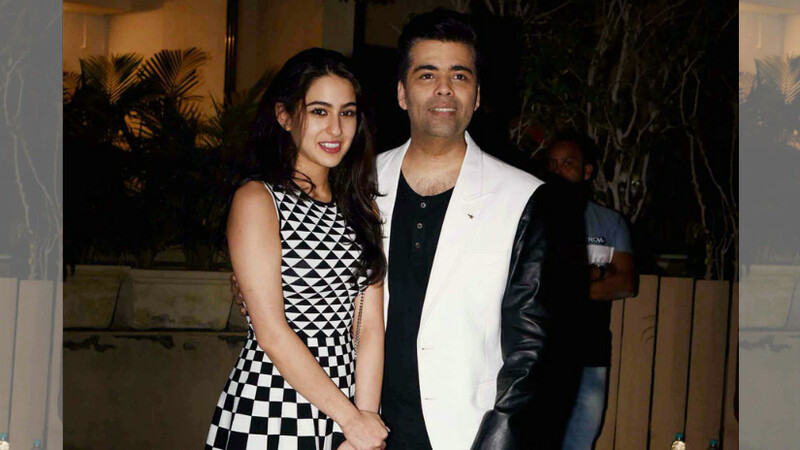 While trade pundits feel that Jhanvi might have an edge over Sara because she has Karan Johar as a mentor, only time will tell how the audience will receive these star daughters. The first time you see him, it’s through a glass wall. Light tinted, slightly oversized sunglasses and a small, neat moustache embellish the face, carefully half hidden in profile. He hasn’t spoken and you don’t take much notice of him except as a big gangster, Maqsood (read Dawood). He is, apparently, a man of some importance. We know this because he has a sidekick who addresses him as “Bhai”. The second time you see him, he is seated in a car. He is dressed in a printed silk shirt. His hair is long and thick and the camera is close enough to see his eyes through those light gold shades. And then he speaks. The unmistakable grainy voice belongs to Farhan Akhtar. The hitherto dull and dim lit screen, suddenly lights up. The rest of the long hour and a half, you wait for the next glimpse of Bhai. Oh, but isn’t this film about Arun Gawli, the gangster who became known as Daddy? Unfortunately, yes. It is also a film that attempts to walk the thin line between the real and commercial cinema. But how real can a movie be, without it being a documentary? In the previous scene with Bhai, the men, sort of huddled outside, are being given an important assignment. One of them dares to enquire about the payment. He is Arun Gawli, a small time goon from Dagdi Chawl in Mumbai’s Byculla area. If Farhan Akhtar is unrecognizable, with the perfect detailing of the underworld man from the eighties; Arjun Rampal as Arun Gawli fondly called Daddy, is equally nondescript behind the prosthetic big nose and long hair. Utmost care has been taken to recreate the real world of a man whose humble beginnings in the 70s and 80s are traced to a place called Dagdi Chawl. The old staircases, the crowded, long balconies, the small rooms with faded, cracked paint and weak, wooden doors — are painstakingly lit with dim light to show a world as dark as Gawli is made to be. This is that Mumbai chawl where he woos a Muslim girl across the balcony and eventually marries her. This is the unsafe place which he builds into a mini fortress, armed with his faithful men and guns. This is where crossfires are exchanged every time the cops come to get him. This is the hideout where he religiously prays to his God — Shiv Shambho. This is the home where he holds his baby and a gun with one hand and a toy rattle with another. The latter, particular image should ideally evoke some strong, mixed emotions. But it doesn’t. In fact, the film, does not stir up any emotion, whatsoever. Daddy has been positioned as a ‘real’ film with ‘commercial’ value given by Arjun Rampal’s name. But this faithfulness to the realistic feel, ends up overlooking the required drama and entertainment in films, which go beyond repeated shootouts. The silk shirts and the bell bottom pants also need some flesh, blood and soul, just like a simple Dagdi Chawl-made vada pau needs its dry garlic, and red, hot chutney. Rampal’s Gawli says “ikde ye” quite comfortably but does not engage you with a real conversation after that. The matter of fact tone is as dull as the Wikipedia page which informs you of as much as you see in the movie. The story had sufficient meat in the way three men — Baba (Anand), Ramu (Rajesh) and Arun (Arjun) — formed the BRA gang and their eventual journey. However, you never really get to know who they were as people or friends. None of the fantastic detailing to recapture the ’80s matters. The flat dialogues make the pace and the tone feel so stretched that the songs provide a welcome break. Particularly, an item number that reminds one of Parveen Babi in a gold, shimmery costume and of the popular disco beat. Arjun Rampal seems to have given his heart, mind, body, soul and ‘nose’ to this film as actor, co-writer and producer. Hence, it’s disappointing to see it all ruined by director Ashim Ahulwalia who is obsessed with art direction and the costume department. The setting and sepia tones take precedence over the screenplay and the character. This is not so surprising, considering his debut film — the Nawazuddin-starrer Miss Lovely — which drew some attention during film festivals but failed when released in theatres. Rampal in Daddy, is like Aishwarya Rai in Sarbjit. Both are fighting their immense good looks and their image, with heartfelt sincerity. Rampal gives a satisfactory, restrained performance in Daddy but he needed better scenes, especially with the ineffective and badly miscast Nishikant Kamat who plays Inspector Vijaykar. Daddy could have been like Ram Gopal Varma’s Satya but ends up as fake as Farhan’s character name, Maqsood, in its guise to be real. Was Dawood singing in their ears — “main hoon kaun…main hoon, main hoon… DON”? 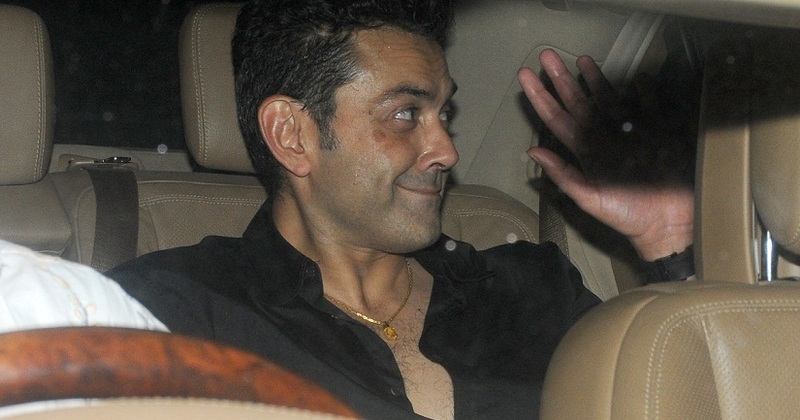 After a four year hiatus, Bobby Deol — the flamboyant star of the 90s — is back on the big screen. He hopes to win back his audience and his fading stardom, and revive his career with the upcoming comedy, Poster Boys, which marks the directorial debut of actor Shreyas Talpade, and also features his older brother, Sunny Deol. “People ask me why was I so choosy and why I didn’t do any film in the last four years. I tell them that I wasn’t choosy but people had become choosy about me,” says the actor candidly. After a successful debut with Rajkumar Santoshi’s Barsaat (opposite Twinkle Khanna) in 1995, he went on to appear in many hits and is best remembered for his thriller and action films like Gupt, Soldier, Hamraaz, Ajnabee among others. Bobby’s career slowed down with duds like Chor Machaaye Shor, Kismat, Bardaasht, Tango Charlie. Years later, his fading career got a new lease of life with Yamla Pagla Deewana (2011) but his success was short-lived as younger actors displaced the once blue-eyed boy of the 90s. To make it worse, his films like Thank You and Players tanked at the box office. He’s back in his flashy avatar — donning trendy shades and leather boots — and Bobby has now decided to speak his heart out. “A good subject, a good script is hard to find, God doesn’t give you chances again and again,” he says, as he looks around at his fans waiting for selfie. “I hate these selfie pics, it is the worst photograph possible…you look so distorted and ugly. We look like mannequins,” laughs Bobby, and gets down to chatting with Firstpost. The actor says that the perception that he’ll only do starry roles and central characters has caused a dent in his career. “People started carrying false news about me and maligning me. The industry and social media kept saying that I don’t want to work. That I was content and happy. That I was busy as my wife’s going through a legal battle, but nobody knows the reality. It was tough for me to come out of all that. I want to change their outlook. I am now meeting people and telling them that I want to do good characters. Nice and meaty roles in all genres,” he says. While in the past Bobby was often refused roles of a small town guy, he grabbed the opportunity with Poster Boys in which he plays a naive, sincere and honest school teacher. “That’s going to be my approach now — to break stereotypes and surprise people. Earlier, whenever I would ask for the role of a poor guy, I was refused because I didn’t look like one. I always played a rich guy in many of these thrillers and rom-coms. The only time I played a small town boy was probably in Vidhu Vinod Chopra’s Kareeb. I never looked at myself as good looking or bad looking. There are so many films made where actors don’t look the part but perform the part. That is what I am hoping for,” says Bobby. But one thing that will never change with Bobby is ‘disappearing’ from the city on the eve of his film’s release. Laughing out loud, he says, “I really get stressed with these box office collections. This time I am leaving for Manali. I would always run away on the release day. I am too sensitive a person, I can’t handle all this. I won’t lie; I get nervous and scared.